Seeley International has acquired Melbourne-based company, AIRA, a local manufacturer of heating, cooling and energy recovery ventilation equipment. 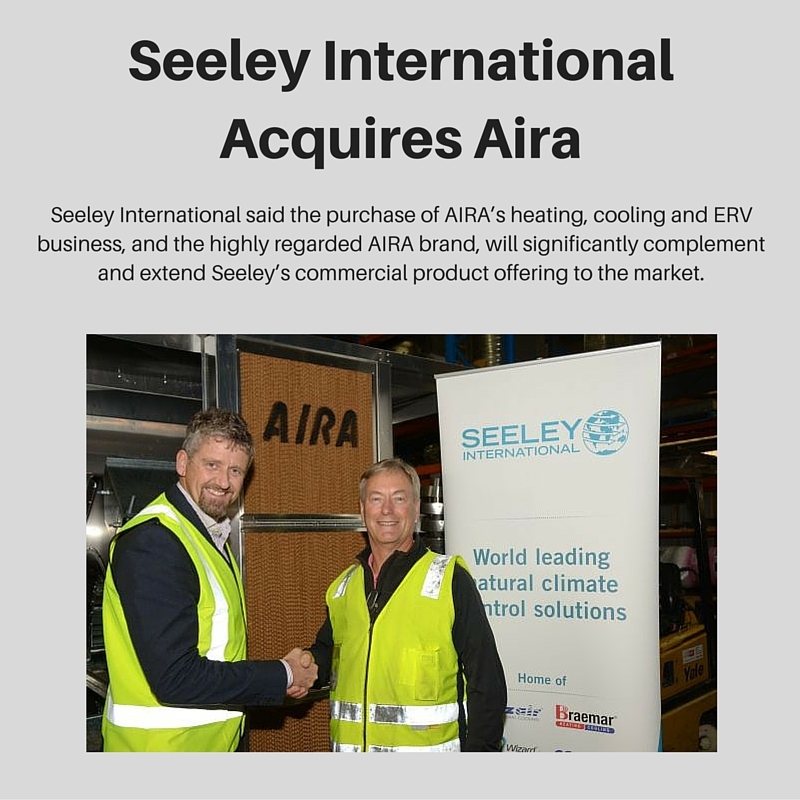 Seeley International group managing director, Jon Seeley, said the purchase of AIRA’s heating, cooling and ERV business and the highly regarded AIRA brand, which comes into effect on May 23, 2016, will significantly complement and extend Seeley’s commercial product offering to the market. “This acquisition is a perfect fit for both organisations, offering unrivalled benefit to our customers, with a much broader range of heating and cooling solutions to consider. It’s a winning combination,” Seeley said. Click on the link to read the full article Seeley International Acquires Aira.